The Auburn University School of Forestry and Wildlife Sciences invites you to a seminar titled, “Understanding Conservation: Responsible Commercial Use of Natural Resources,” presented by Mr. Tony Schoonen, Chief of Staff of the renowned wildlife conservation organization, the Boone and Crockett Club. Founded in 1887 by Theodore Roosevelt and George Bird Grinnell, the Boone and Crockett Club was the initiator and champion for the creation of the country’s first national parks and land management agencies. It was also the earliest advocate for science-based wildlife management efforts and legislation including the National Wildlife Refuge System Act and the creation of the Cooperative Fish and Wildlife Research Units. At the root of its mission, the organization pioneered and established the principles of responsible, ethical, and sustainable use hunting known as Fair Chase. The seminar will be held on Friday, September 28, at 11 a.m. in the SFWS Conference Hall 1101 located on the first floor of the School of Forestry and Wildlife Sciences Building. This is a complimentary event for faculty, staff and students. Light refreshments and free parking are offered for attendees. Parking will be available on the third and fourth levels of the South Quad Parking Deck. Advanced registration and parking passes are not required. Tony was born and raised in Butte, Montana. After graduating high school he attended two years of college at the Montana School of Mines and then in 1982 moved to the University of Montana, working his way through school as an outfitter and river guide. In his senior year he started a film production company, Stoney-Wolf Productions. Stoney-Wolf rapidly expanded and became known for outdoor productions for home entertainment and commercial theatres. The company was also often hired to film under severe and dangerous conditions. 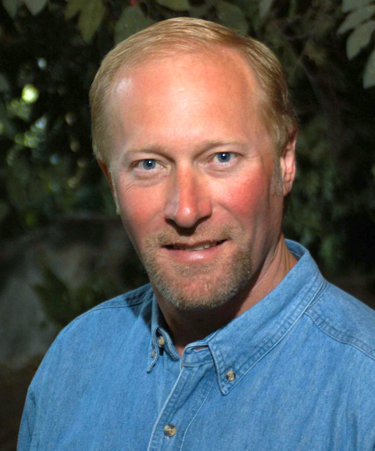 After selling the company in 1997, Tony chose a second career in the NGO world of conservation, working first for the Rocky Mountain Elk Foundation as their Vice President of Marketing and Communications, then for Wonders of Wildlife as their Executive Director, and finally for the Boone and Crockett Club as their Chief of Staff, a position he currently serves. Tony married his wife Jennifer in 2004 and is the proud father of two girls. He hunts and fishes as much as time allows and includes his family whenever possible. All enjoy the great outdoors and share the same passion for wildlife and wild places. Tony is a National Conservation Leadership Institute Fellow from Cohort 3. He regularly uses this adaptive challenge training as a part of his job and as a volunteer Board member. Tony currently serves on four boards: Wonders of Wildlife, National Museum of Forest Service History, and the Boy Scouts of America, Montana Council, and the Council to Advance Hunting and Shooting Sports. Besides raising his family, Tony’s passion is to continue to play a role in the conservation and conservation education movement and apply his knowledge and experience to help ensure a wildlife legacy for future generations.